On Sunday night, John Oliver spent the bulk of Last Week Tonight’s half-hour ruminating on “one of America’s favorite pastimes”—public shaming. 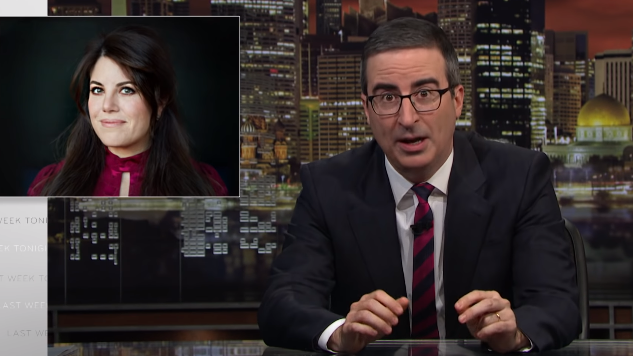 Oliver deftly tackles the subject, acknowledging that it’s an act that can be used for good (e.g., the recent criticism of Tucker Carlson’s awful radio show comments) or bad, such as the misdirected shaming of the “worst aunt ever,” making it difficult for the woman in question to find employment. In Carlson’s instance, his shaming contributes to positive change, since his comments were undeniably discriminatory. The latter case, however, was the result of unethically handled reporting. Public shaming is a weapon that must be handled carefully, Oliver cautions, and he shows self-awareness in noting that, as the host of a comedy show, he earns a living making fun of people. However, he describes the types of questions he and his staff must ask themselves before choosing to publicly shame someone, such as their power, should the person be named, are they a public figure making public comments, etc. Context and consequences are key in public shaming, Oliver explains; otherwise, a person can end up being punished disproportionately compared to their perceived wrongdoing. Watch the segment in full below.